IN THE NEWS: It’s not every day that Saving Monticello gets mentioned in a noted national publication. But that’s just what happened in the April 27 edition of The Wall Street Journal. Rabbi Soloveichik goes on to say that Monticello today attracts visitors from “all over America.” Yet, he writes, “as Marc Leepson notes in his book, Saving Monticello, for decades the Levys’ role in preserving Jefferson’s home wasn’t celebrated.” I sent the rabbi an email congratulating him on the article and thanking him for mentioning my book. One reason for the article is an event that will take place at Monticello on Sunday, May 7. Rabbi Soloveichik will take a delegation of members of Shearith Israel (the oldest Jewish congregation in the nation and one in which several members of the Levy family worshiped) and a group of Yeshiva University students to Monticello. 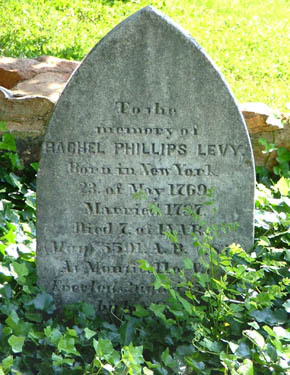 He will lead a Jewish graveside service (the Kaddish) at the grave of Rachel Levy, Uriah Levy’s mother who is buried along Mulberry Row, along with a memorial service for the Phillips family and for all Jewish American patriots. As I wrote in the book, Rachel Phillips Levy was the first member of the family to live in Monticello. Although we do not know exactly when her son moved her to Monticello, it most likely was in the late spring or early summer of 1836. While Uriah Levy at sea, his mother died at Monticello on May 1, 1839. Lt. Levy apparently did not find out until six months later when he arrived at Monticello after his cruise ended and his ship put in at Norfolk. The manager of Monticello, Joel Wheeler, had gotten in touch with Uriah’s siblings Jonas and Amelia when their mother died and they arranged to have her buried near the house. She is the only member of the family buried at Monticello. For many years after Jefferson Levy sold Monticello to the Thomas Jefferson Memorial Foundation in 1923, Rachel Levy’s grave was all but neglected. However, that situation changed markedly when Dan Jordan took over the Foundation in 1983 and the following year ordered the refurbishing of the Rachel Levy grave site and placing a plaque there honoring the family. On June 7, 1985, several Levy descendants, including Harley Lewis, a great grand niece of Jefferson Levy and several dozen guests, took part in a commemorative ceremony at Monticello. The event included an address by Edgar Bronfman, the head of World Jewish Congress and CEO of Joseph E. Seagram & Sons, a scripture reading by by Bernard Honan, the rabbi of Charlottesville’s Temple Beth Israel, and a prayer by Louis C. Gerstein of Shearith Israel. Harley Lewis ended the ceremonies by unveiling the new plaque at her great-great grandmother’s grave. AMERICAN SPIRIT: Here’s some more Saving Monticello news: The editor of American Spirit magazine, which is published by the Daughters of the American Revolution, asked me to write an article for the May/June issue on the DAR’s involvement with the 1912-17 campaign to take Monticello from Jefferson Levy and turn it into a government-run shrine to Thomas Jefferson. The DAR did not initiate the proposed takeover. The historic-preservation-minded hereditary organization was called on by Congress to offer advice on how to run the place after it became a federally owned house museum. 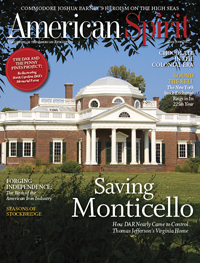 I covered that aspect of the story in Saving Monticello and adapted what I wrote in the book (and added a few things) in the article, which is the cover story of the just-published issue. MAY 6 IN SAVANNAH: I will be doing a talk on Saving Monticello and a book signing on Saturday, May 5, at Congregation Mickve Israel in Savannah. The talk will follow that morning’s services, which begin at 11:00 a.m, and the Kiddush Lunch, which starts at 12:15. The event is open to the public, although reservations are required (for $10). To do so, or for more info, email resvp@mickveisrael.org or call 912-233-1547. Saturday, May 6 – Talk on Saving Monticello at Mickve Israel. See above for details. 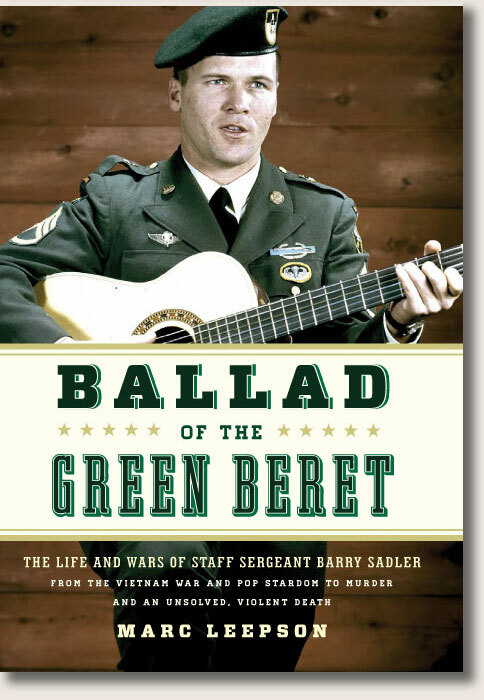 Monday, May 8 – 12:00 noon talk on Ballad of the Green Beret and book signing at the Library of Virginia, 800 E. Broad Street, Richmond, Va. Free and open to the public. Thursday, May 25 – 7:00 p.m. talk on Ballad of the Green Beret and book signing at The Hill School, 130 South Madison Street, Middleburg, Virginia. The talk is free and open to the public. For info call, 540-687-5897. Monday, May 29 – 3:00 p.m. talk on Flag: An American Biography, and book signing at The Glebe Retirement Community in Daleville, Virginia. Free and open to the public. For info, call 540-591-2148.